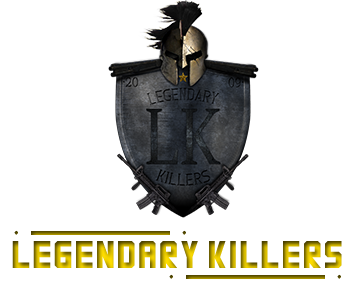 Clan Tags: LK, LKr and LKt. We decided to recruit new players with a great potential from the current generation. The clan has passed for many things in these 2 years of inactivity so most of us woke up from our grave and starting giving opportunites for young players who feel capable to join us and be ready to face new challenges for the following years. To finish, we added the Trainee rank again as a test for new recruits. The second part after a long time. Enjoy! Hello again. In this thread I'd like to share my personal hud which helped me a lot in-game and enjoying more. Here in the video you'll find explanations with pictures (for the majority who doesn't speak spanish) so I doubt It will be a problem. Enjoy! Hello everyone. Today I want to share a save file made by me which contains all the possible secondary missions done from the beginning of the game so you'll have some advantages like 150 hp, 150 armour, infinite sprint, a fireproof body (from completing FireFighter's lv12 mission) and many more. The video is in spanish but is understandable with pictures. Enjoy! Fighting with an old friend on Ka Deathmatch server in 2012. He recorded the video and i re-upload it. Sorry for the bad quality.